I just received a box of outstanding goodies for the garden giveaway that was over at L's blog, Sage Patch. 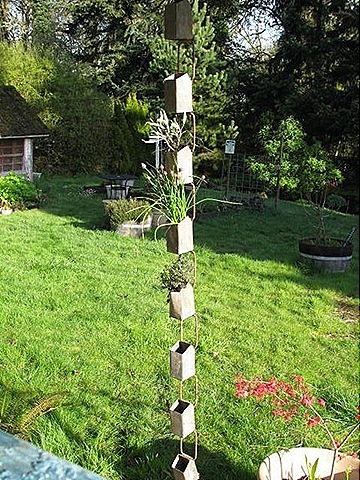 The giveaway was all about using and repurposing junk, salvage, and thrifted treasures in your garden. I was all over that giveaway, yes I was. The loot is some great stuff! 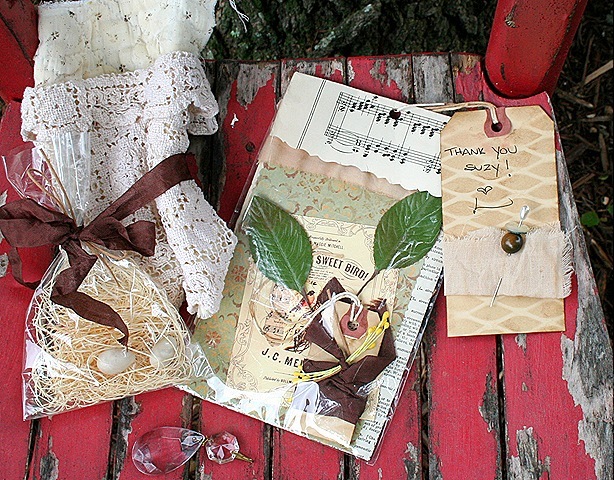 Some bits of lace and old quilt, pretty tags and ephemera, a nest and chandelier crystal. 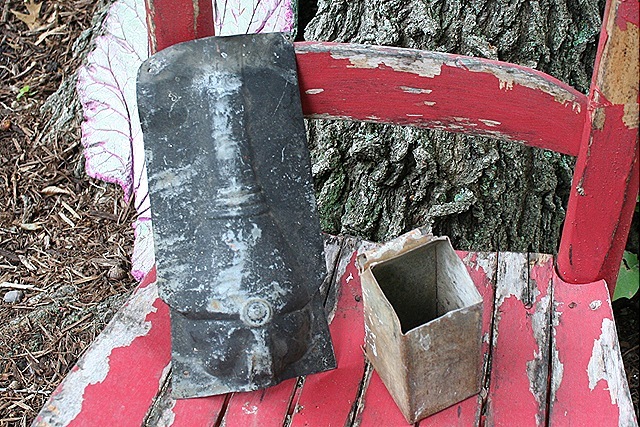 Check out these old metal pieces, you know I'll find something fun to do with these in the garden. If you like old architectural salvage and vintage goodies, check out L's etsy shop, SagePatch. L. just opened another etsy, The Rusty Pig. There is even more vintage goodies over there. Wow, thanks for those links!